For some, Black Friday is an annual family tradition of visiting big box stores in a post-Thanksgiving haze, braving the crowds in hopes of picking up a super-cheap flatscreen TV. For others, it's a nightmarish hellscape of consumerism at its worst that should be avoided at all costs. No matter how you feel about it, the fact remains that it's often the one time of the year when you'll find the best deals on everything from laptops to Crock-Pots. This year's batch of bargains is shaping up be a pretty good one, too, based at least on a bunch of Black Friday deals Target has planned. Buy-one-get-one 50% off on hundreds of beauty, cosmetic and personal care gift sets. While the deals are live for one day only on November 1 (in-store and online), they won't be available again for a few weeks. The Black Friday deals officially go live again online on the morning of Thanksgiving (Thursday, November 22), and in-store starting at 5pm on Thanksgiving. The deals will be good until the end of Black Friday (November 23). 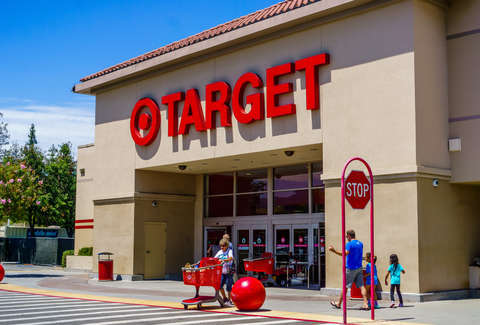 Target also announced that it's bringing back its popular Weekend Deals during the holiday season, and that it has some big sales planned for "Cyber Week" starting November 25. 'Tis the season to give your credit card a workout.